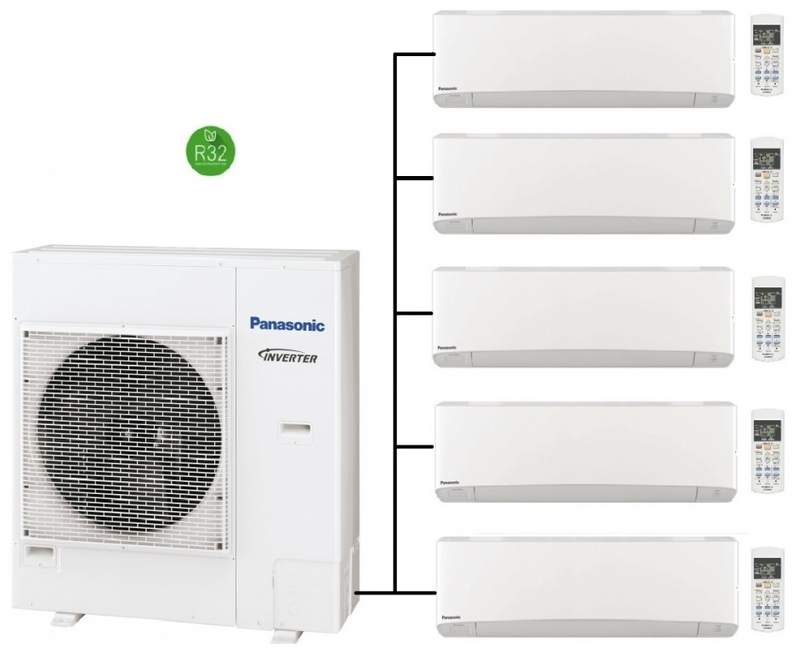 The Panasonic CU-5Z90TBE outdoor condenser unit can provide year round heating and air conditioning via the connected 5 indoor units. 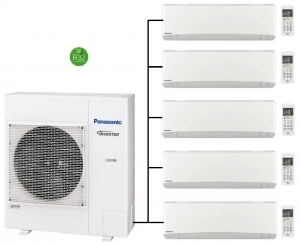 The CU-5Z90TBE outdoor unit is fitted with 5 wall mounted Etherea units of either 2.0kw, 2.5kw or 3.5kw output, these come in white but there is also an option of silver if required. Other types of indoor units can also be fitted, please contact us if you require a different combination. The Etherea high wall mounted units can also be controlled via Wi-Fi via the optional Wi-Fi controller that can be purchased. Other features of the Etherea unit are a motion sensor and advanced filtration which would benefit suffers of allergies such as hayfever.